Sabine McNeill's incarceration for activity in the 'Hampstead Case'? 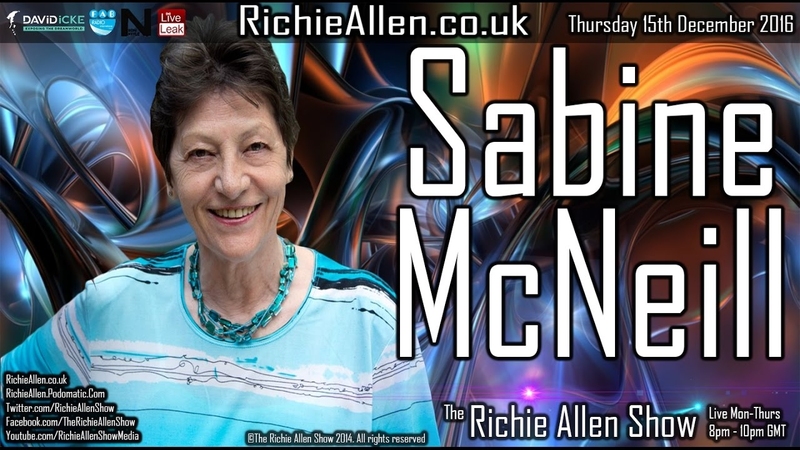 Sabine McNeill is a lunatic whose current misfortune is entirely of her own making. NcNeill is currently remanded in custody due to her previous history of absconding to evade charges after she revealed the identities of the children involved in the Hampstead SRA case, in flagrant Contempt of Court. Gerrish persists in calling this a cover up, but there's no evidence, just the perverse fantasies of Abraham Christie, a convicted criminal who has run away abroad. In fact, the person who has done those children the most harm is Sabine McNeill, who allowed their names and pictures to be spread around the internet. Now, McNeill is charged with breaking a restraining order, imposed because she and her mad mates persist in shouting insane abuse at innocent people. At least she can't do that while banged up. What in this reply is not a lie or a wild distortion of the truth Mr Pullen? But at least it is clear where you are coming from. Ed de Boer Yes, it's incredible, saddening and outregeous what is happeniong with Sabine. And what I find problematic, too, is the way Ella dismisses everything the McKenzie friends have done as treacherous, also in this movie. Tim Veater Let me be clear, I did not mention the Step Father. 'James Pullin' did that as is his wont! I may not empathise with everything he has said and done but I believe the claims that Pullin and others have made against him, is just a rhetorical device to distract from the central claims of the children, disgracefully ignored by police and courts. There seems only one explanation for this utterly extraordinary state of affairs, and that can only be a very, very sinister one. The fact that the only person to be arrested in this case, despite the most serious allegations, is the person who supported the children, rather says it all. It makes a mockery of Theresa May's assurances to protect children and chase down perpatrators of abuse, particularly as she was Home Secretary, responsible for policing whilst these events unfolded. An article by Alexander Baron here: http://www.infotextmanuscripts.org/tln/the-latest-news-72.pdf or may be not? "This opinion article was written by an independent writer. The opinions and views expressed herein are those of the author and are not necessarily intended to reflect those of TheLatestNews.com"
"They and others have tried to kill this nonsense; among other things, videos uploaded to YouTube have been pulled, but for the gullible, like even the highly intelligent Sabine McNeill, this is proof positive only that the police are controlled by servants of the Devil himself. She has now fled the country, and if she returns will doubtless be arrested for some offence, perhaps contempt of court." Who this man is is unclear but he claims to have been writing articles since the early nineties. He appears to be an apologist for any one charged for sexual crimes against children and is utterly dismissive of the Hampstead allegations given greater credance bt the findings of the IPCC. He shares his name with a (more) famous communist/socialist writer of "From the City of the Plough" about the D-Day Landings and "Low Life" who lived from 1917 to 1999. Is there a connection? A Google search for Sabine McNeill appears to throw up articles by "Hoaxstead" and other similar sources that claim the childrens convincing allegations were one big HOAX. It virtually impossible to find an objective report on her treatment ny the British Courts and why it was necessary to remand her in prison until a trial date set in November 2018. It certainly appears that whoever controls these things is determined to keep repeating a wholly false narrative about what the children convincingly alleged, and the fatally flawed way in which it was investigated by the police. PLEASE COME TO SOUTHWARK CROWN COURT ON 19th March 2018 to show your support for Sabine. 74 year old campaigner against child abuse and forced adoption SABINE McNEIL is sadly BACK IN PRISON – as some of you are already aware, she’s back inside on remand for allegedly breaching her bail conditions on 2 consecutive occasions in the last 3 weeks for allegedly speaking about the hamspstead whistleblower children case - where 2 children from Hampstead detail ritualistic abuse involving their biological father and other local prominent people in the area. Did she or did she not talk about the case to 3rd parties on the mentioned 2 occasions? They have concluded that she did, moreover that the breaches were both deliberate and ‘flagrant’ rather than ‘inadvertent’, she was not naïve and knew exactly what she was doing. So she’s back in HMP Bronzefield until the next hearing of the case at Southwark Crown Court on 19th March when hopefully the bail situation will be reviewed. They're trying to psychologically destroy her simply for speaking out about 2 children that have been ritually abused in HAMPSTEAD. Sabine McNeill A8115EC (her prison number must be written on all correspondence) HMP Bronzefield, Woodthorpe Road, Ashford, Surrey TW15 3JZ. Please ‘don’t mention the hampstead case’ as mail is censored!! People should not be being sent to prison during times of extreme austerity, simply for speaking out about institutionalised child abuse when there's an ongoing independent child sexual abuse inquiry ongoing in the UK.